Want To Receive Your FREE Customized Training Course Worth $100? Many people yearn to become dog trainers but don’t have a clue as to what it really entails. Some are looking to change careers, to do something they find more rewarding. Fear is a strong barrier to change, but this book will help you overcome that uneasiness, so you will have the confidence to set out on your own dog-training venture. More Than A Dog Whisperer will explore all the particulars of the industry so you can then make an educated decision to enroll in dog-training school. Working with animals is a true gift to all who have the opportunity. If you’re passionate about dogs and their relationships with humans, patient and comfortable working on your own as well as with dog owners, and interested in continual self education and betterment, then this book is for you! Mark Dogman Castillero will help you launch and direct your career by providing insightful advice gained through forty years of experience in working as a dog trainer. What are the demands and hours of a dog training job? Working with man’s best friend is a transformational, rewarding, and primal experience. 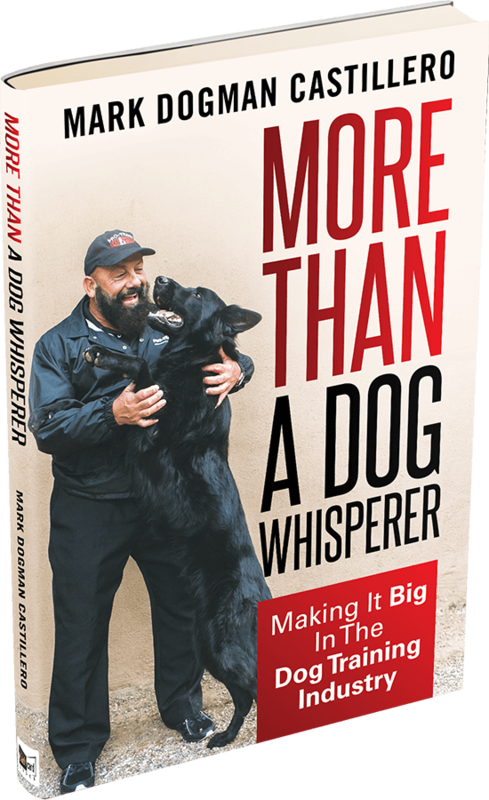 Castillero shares his dogman wisdom on the magic of dog training. Copyright 2016 by Mark Castillero. All Rights Reserved.